Founded in 1993 as one of the subsidiaries of the multi-media conglomerate Fairchild Media Group, Fairchild Television was the first Chinese media corporation to operate nationwide in Canada. With the head office located in Vancouver, Fairchild Television has set up two other regional offices in Toronto and Calgary. In order to better serve the increasing number of Chinese immigrants, Fairchild Television constantly works towards bringing viewers the latest and most popular Asian dramas, entertainment programs, variety shows, investigative reports and news and current affairs programs. Through Fairchild Television, Chinese immigrants can be updated on the latest news and cultural trends of Asia every minute of the day. FairchildTelevision also puts its best efforts into producing local daily news and other programming to assist new immigrants in quickly adapting to and immerging into Canadian culture and lifestyle.  Fairchild Television also takes pride in its annual productions of variety shows such as Miss Chinese Vancouver and MissChinese Toronto Pageants, and New Talent Singing Awards. Through both satellite and cable services, Chinese Canadians are able to enjoy over twenty hours of high-quality Chinese television programming daily. Popular Hong Kong, Mainland China and Taiwanese dramas, situation comedies, cartoons, variety shows, and current affair programs. Daily broadcasting of satellite news produced by Television Broadcasts Limited(TVB) direct from Hong Kong. News and Current Affairs Department produces daily newscasts featuring the latest international, national, and local news and weekly current affairs programs and investigative reports. Locally produced programs include travelogues, culinary programs, beauty programs, sports and wellness programs, nature programs and information programs. Miss Chinese Vancouver and Miss Chinese Toronto Pageants, New Talent SingingAwards, and TVB Fairchild Fans Party are some of the most popular variety shows hosted annually by Fairchild Television. Modern media focus highly on audience connection. Therefore, the recording studios at FairchildTelevision’s head office, located at Aberdeen Center in Richmond, BritishColumbia, are designed to be open and accessible. The newsroom’s glass walls enable passerby’s to look into the studio and watch the processes of the program’s live production. Programs such as Leisure Talk and What’s On are recorded in studios with floor to ceiling windows, showcasing a beautiful backdrop of the city landscape. When viewers see their own city as the backdrop of the show, they are able to better relate to the programs, creating a more comfortable and personal atmosphere. Fairchild Television had spent a lot of time and invested considerable resources into researching and developing the new HD channel to bring to viewers better quality programming that comes straight from Hong Kong. The new Fairchild Television 2 HD channel was officially launched on May 23rd 2013 offering a wide range of television programs that are broadcast in steps with Hong Kong and other programming such as variety and game shows as well as travelogues, just to name a few. Among allAsian broadcasters in North America and Europe, Fairchild Media Group was the first broadcaster to feature HD Asian programming. This achievement had been recognized and highly regarded by other Chinese stations worldwide.